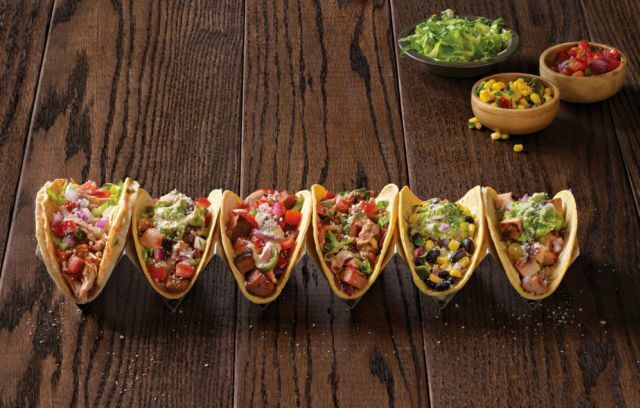 Qdoba will be handing out free Knockout Tacos on New Year's Day at participating locations. It's limited to one taco per customer with no purchase necessary. The deal is good on January 1, 2016 only. It's not immediately clear but you may need this coupon(?) from their Facebook page. You also may wish to call ahead to check if your local branch is participating. Knockout Tacos were introduced recently to the Qdoba menu as part of a transition of the chain from "Mexican Grill" to "Mexican Eats" (whatever that means). They come in six varieties with non-descriptive names like The Gladiator and Two Timer, and normally go for $3.50 each.